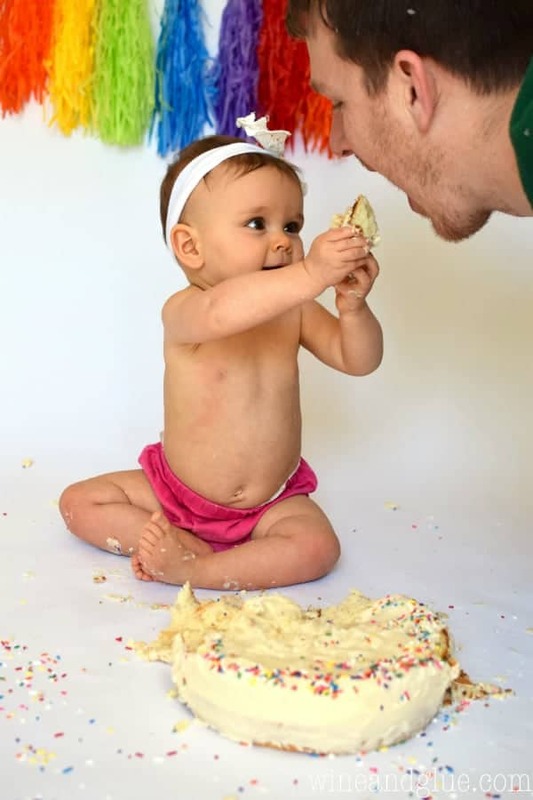 Take those cute pictures of your baby’s first birthday and them eating their cake right at home with this DIY Cake Smash Photo Shoot! One of the main reasons for this post is to show off my baby. 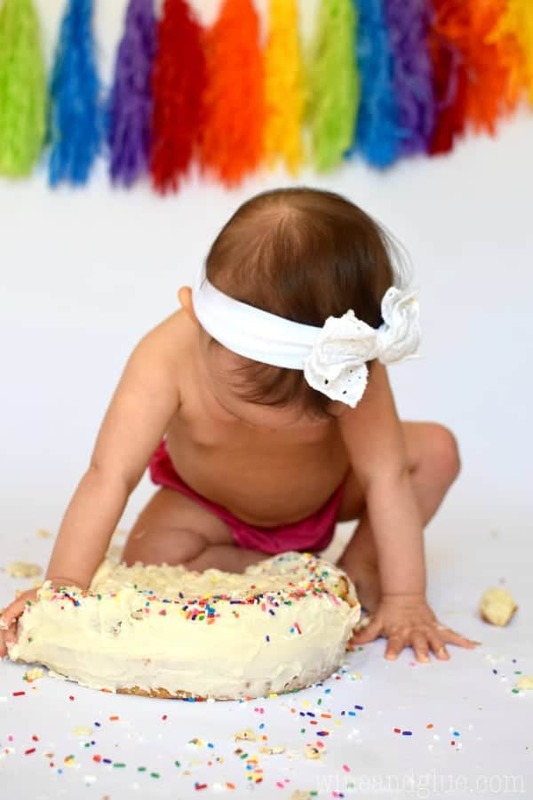 So I love all those cute cake smash photos I see popping up on Pinterest and Facebook . . . but I didn’t want to pay for one. So I did my own! Here’s the caveat: I have some experience behind a camera. I don’t want you to think the average Joe who picks up a point and shoot camera and the supplies I have listed is going to capture similar pictures. But! It is totally possible to do this at home. White Bulletin Board Paper – I got mine at JoAnn’s with a 40% off coupon for about $5. Duct Tape – It’s what I used to hold the paper up to the wall. I only had it on my wall for about two hours and it came off perfectly without taking off paint, but if you are worried, you could use painter’s tape. 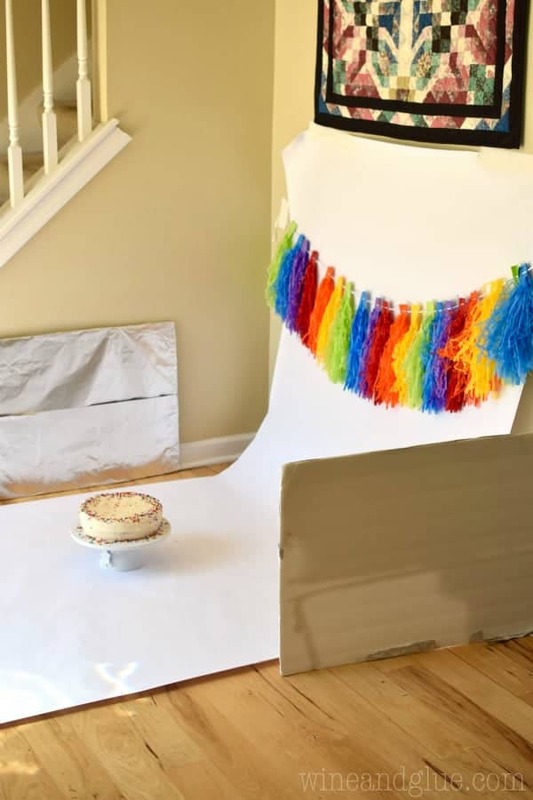 Two DIY Reflector Boards – Get some foam core boards at the dollar store and while you are there pick up some aluminum foil. Then tape the foil to the foam core boards. Place them on either side of the paper. Like I mentioned, I have some experience using my camera. If you are just starting out with a DSLR, I would recommend this book, Plate to Pixel. 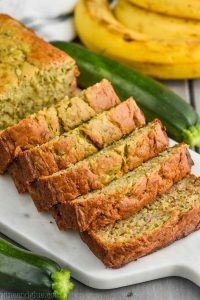 Even if you aren’t shooting food, it is so helpful with the basics. I have a Nikon D5300, which I love. And for this photo shoot I used a 35 mm lens on manual/automatic focus. It gave me a lot more room to work with than my fixed 50 mm which I typically use when shooting food. It’s important to put your set up in a well lit area, but not in direct sunlight. 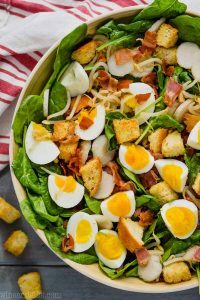 Keep an eye on different areas of your house leading up to the photo shoot and get a sense of what area has the best light and what time of day. 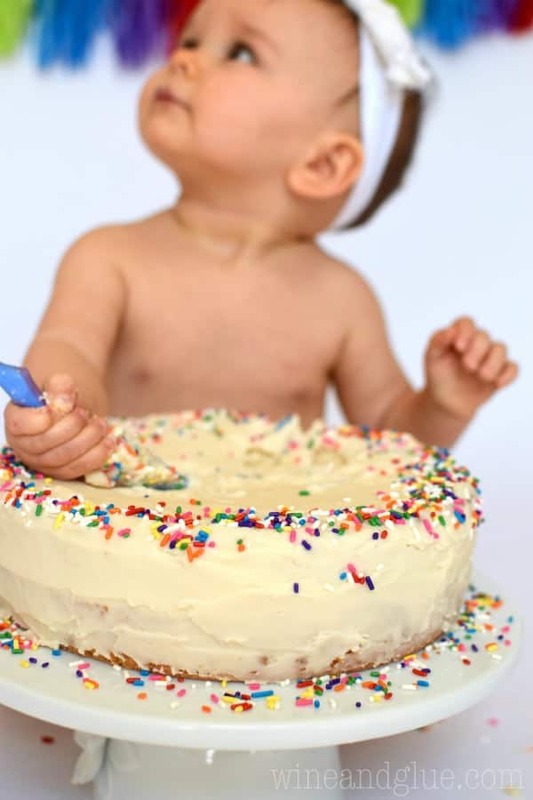 Before you put your baby in front of the cake, check out the lighting and take a couple test shots to see if you have the settings on your camera right. 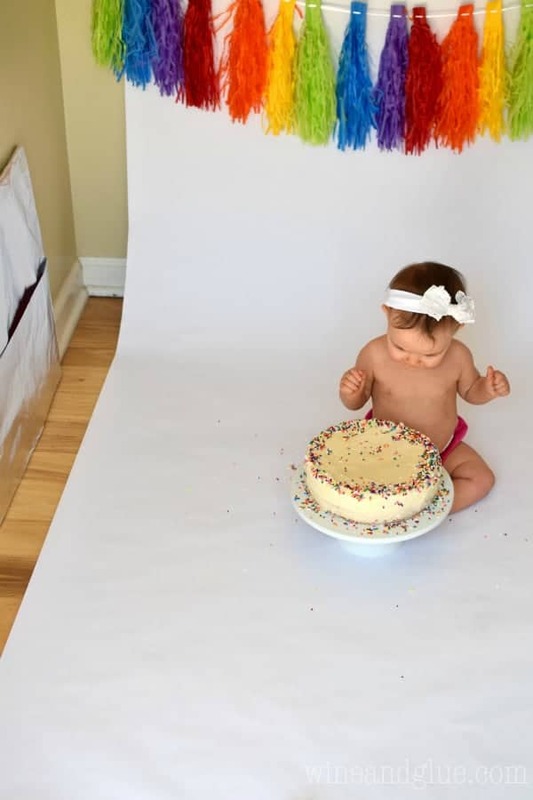 We started out with the cake on a cake stand I got at Target . . . . and Piper had zero interest in it. We gave her one of her spoons, and then she just wanted to stab it. Still no interest in eating it. We finally took it off of the cake stand and started ripping chunks off for her. She still wasn’t really sure . . . . but she did love feeding us. She finally had a little taste. And then she was spent. Cake? I want to eat HER up! What is it about babies that make you just want to chew on them, Amy? Such a cute idea! She is just precious! That’s an awesome idea about the food fight. These turned out great! How wide was the roll of paper you used? Where did you purchase that large of paper? I’m not sure the size of the paper, Maria. I just bought a big roll of bulletin board paper and had lots left over. She is super adorable! 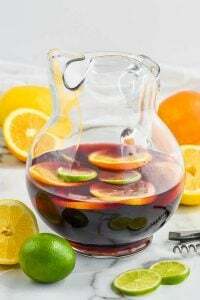 Did you have a party with this set up? Hi Abbey! Nope, it would really be too chaotic to get the pictures I wanted to get during a party. I actually did this a week prior to her turning one. Love this!!! 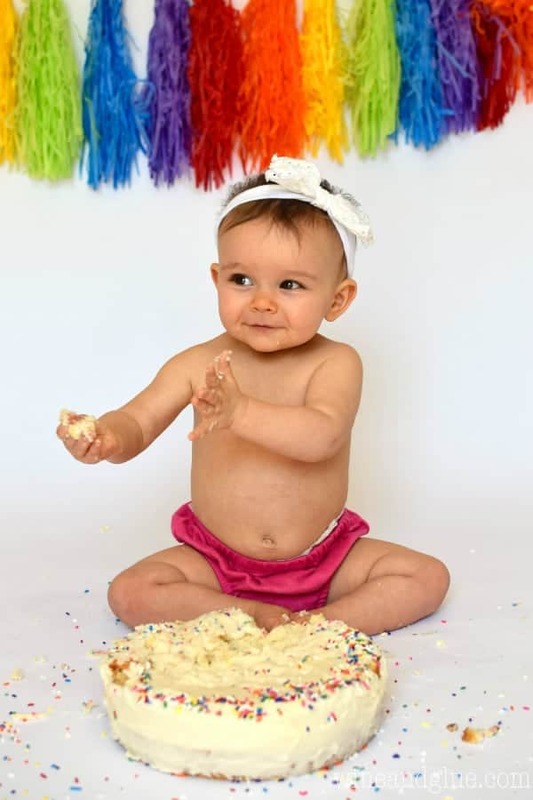 My babygirl is turning 1 next week i was gonna go to a photostudio to do this but ill do it myself!!! Ill save some cash and make more memories doing it at home. Thank you so much for the tips! I hope the photos turn out great, Diana! Hi there! Do you mean for the reflector boards? Anything that is flat and has a big surface area that you can wrap aluminum foil around will work. Hi again 🙂 I meaned the white bulletin board paper! Oh, I’m so sorry! You could try a white bed sheet! Thank you Tjitske! Hope it goes well! She is adorable!! So in wondering…. Will the DIY reflectors make the shadows behind the subject not be there? I always have this problem!! What are the cute bottoms you have on her? Does the bulletin board need to be white? I mean, no. It’s a matter of personal preference. I think it makes the kiddo stand out so much more if it is. Love the idea!!! I’m doing for my baby girl and ur post is super helpful, I’m following it step by step 🙂 I have a question, what is the dimensions of the Bulletin Board Paper?!?! 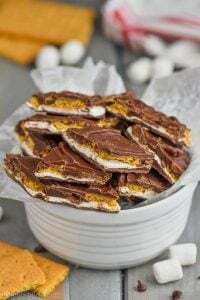 Is there any chance that you used evaporated milk and not sweetened condensed milk? It would be so easy to grab the wrong can. I am looking at doing this in a month. Can you tell me how the refector boards worked? Why you used them. Also…my little ones outfit is coral… what color backdrop would you recommend? Hi Katie! 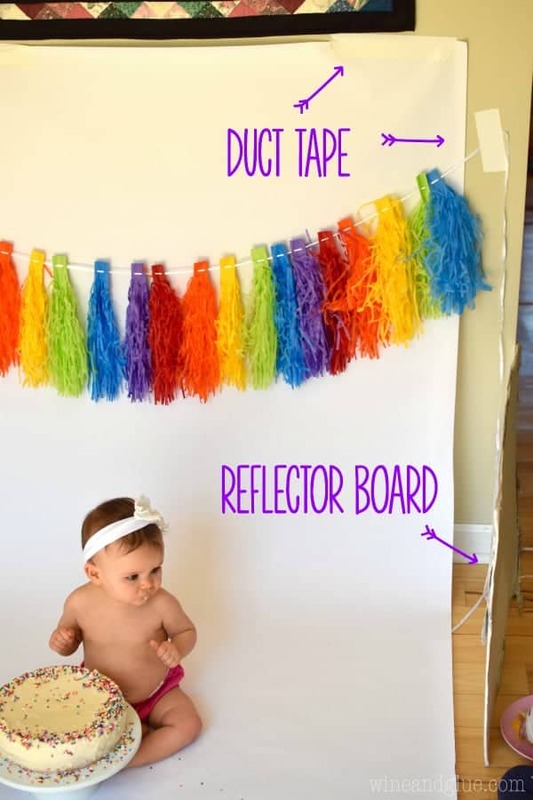 I would go with a white background because it will make her pop, and then I would pick some streamers that are complimentary in the far background, maybe teal? The reflector boards are what they sound like, big boards that reflect light onto your kiddo. You can buy professional ones, but it’s just as easy to buy a foam core board and cover it in aluminum foil. Put the reflector board opposite of your light source. If the light source is coming from in front of your kiddo (as was the case for me) put them on both sides. how much bulletin board paper did you use? excited to do this with my twins!!! 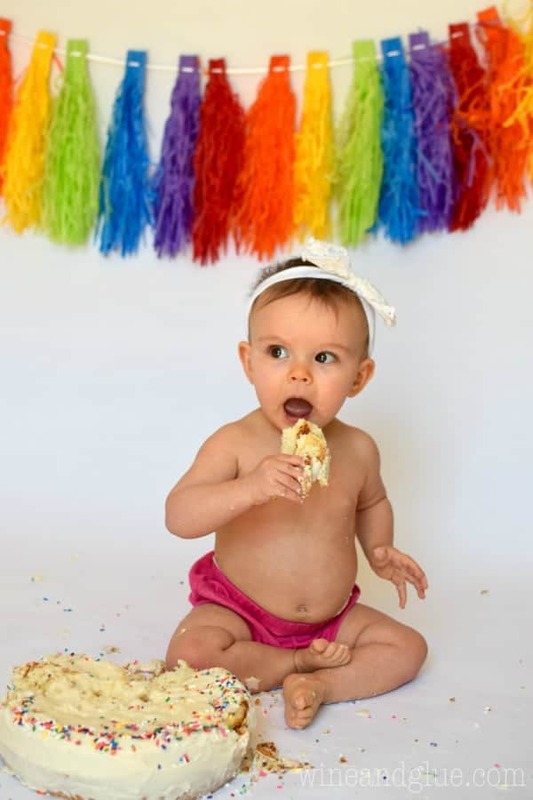 I did my baby’s cake smash photoshoot myself too 😉 loved the results. 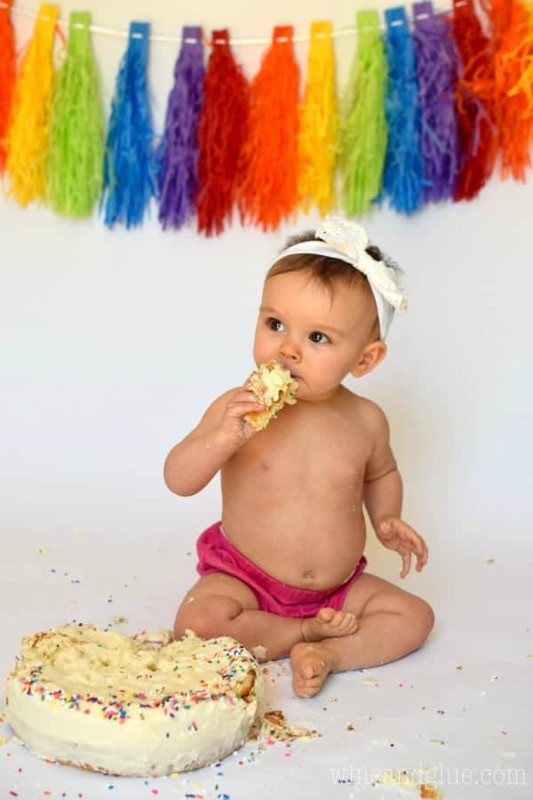 I did my baby’s cake smash photoshoot myself too 😉 loved the results.your seems good . I am gonna try this setup for sure. What size white bulletin board paper did you get ? Did it tear easily ? I don’t remember the size, but it was a BIG roll. I didn’t tear it, I cut it. Lovely post. wanted to ask one thing, garland from backdrop (rainbow colors) looks wavey to me. Did you do something extra for that look? 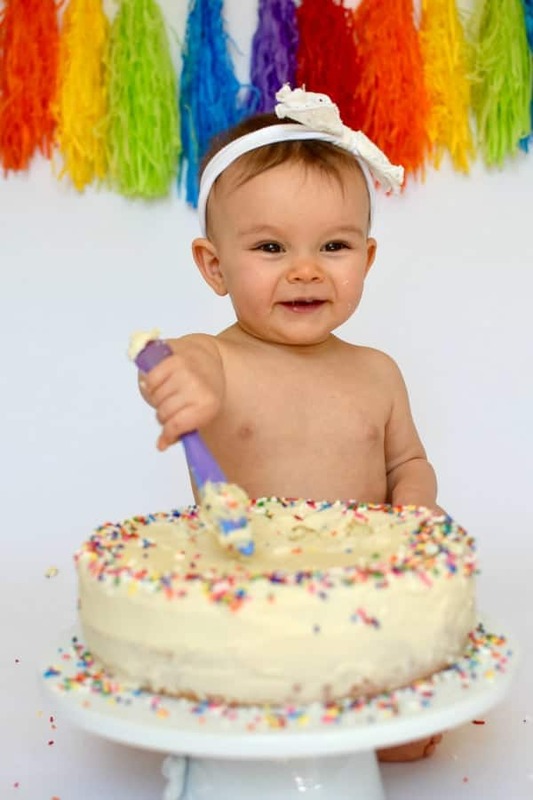 Hi, lovely post.. my son is 9mos old and will are planning to do this cake smash photoshoot. The Rainbow banner behind baby looks wavay, did you did something to get that look? The Amazon link which you share looks different from what’s in the picture. Is bulletin board paper the same as craft paper? I’m actually not sure Christina. I would ask at your craft store. The reason I like the bulletin board paper is because it is in expensive, it comes in a nice big long roll and it works perfectly for this. If craft paper is the same, I say go for it. 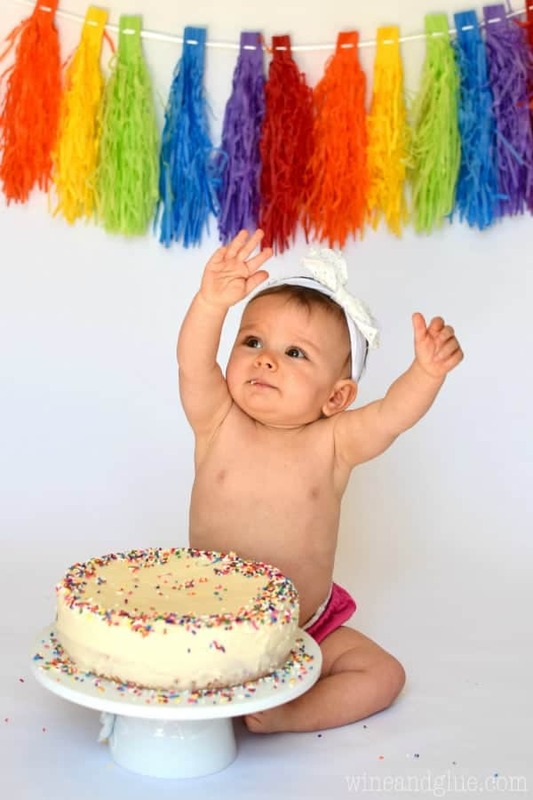 I found your post ahead of my daughter’s first birthday and took some truly adorable- and affordable- photos (smash cake and others) to celebrate!! Thank you so much! !